Silhouetted against Sandia Peak in Albuquerque, New Mexico, Jon is shown here at the helm of Space Shuttle Patriot, the tallest special shape balloon registered in the US. At 178 feet tall and with a wingspan of 115 feet, it's three times taller and twice as wide as the average balloon! 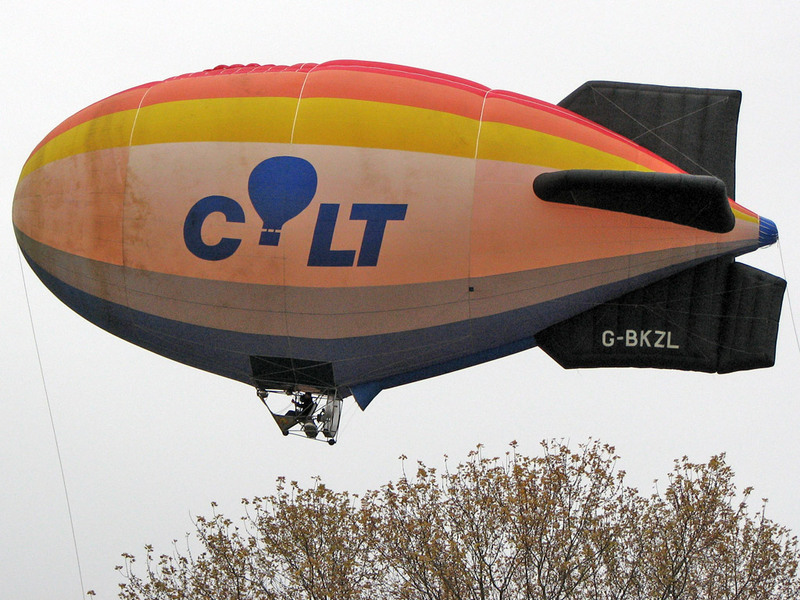 Our small one-person hot air airship, seen here with banner advertising for COLT, is perfect for carrying your company's logo for short and long term local or regional promotions. 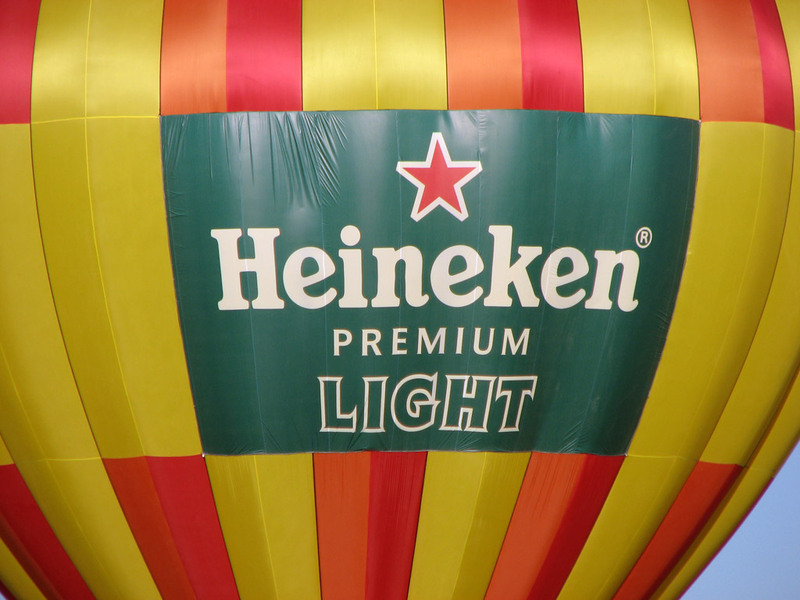 Apex Balloons offers high-degree aerial promotions in the form of targeted hot air balloon and airship advertising campaigns. Local, regional, and national advertising programs can be developed and tailored to your company's specific marketing needs. In the Phoenix metropolitan area alone, a population of over four million residents means that your message WILL be seen! 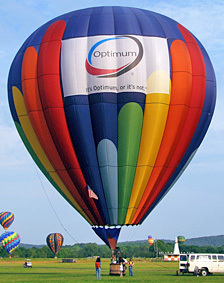 The corporate ballooning arena is a vast, untapped goldmine of opportunity for many businesses and corporations. 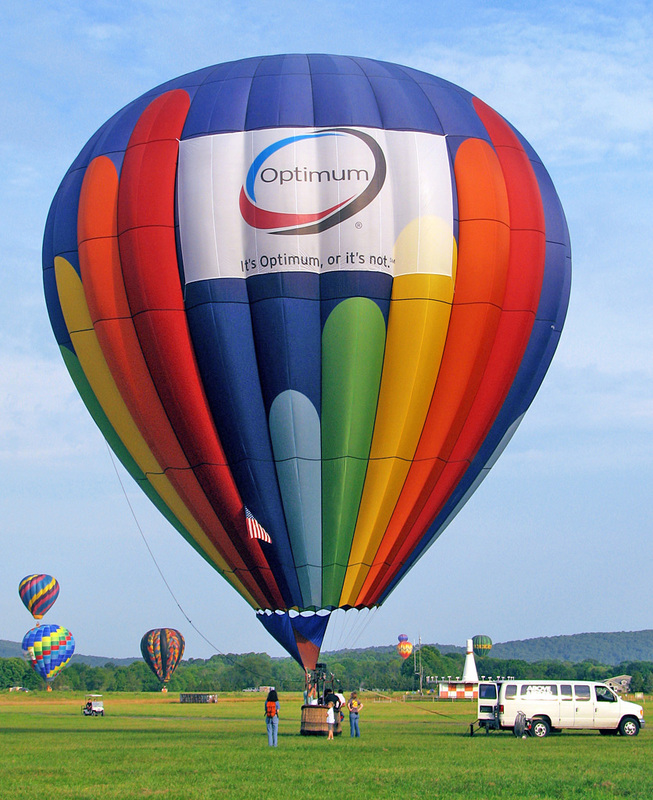 With the right marketing plan, a balloon or airship program will boost sales, increase product visibility and awareness, and bring a return on investment much greater than most traditional media or marketing methods are able to. The cost to implement a balloon or airship program is usually dwarfed in comparison to the exponential amount of publicity it is able to generate. The cost per thousand impressions (CPM) is well below traditional media. On average, a balloon or airship appearance directly generates publicity at a value approximately seven times the actual cost of the promotion. Our company has many years of experience flying all sizes and shapes of hot air balloons as well as blimps and hot air airships. The owner and chief pilot, Jon Radowski, is extremely proficient in media, marketing and press relations, as well as a skilled balloon and airship pilot. A natural for the camera and radio, Jon loves to promote and talk about ballooning and airships, and your interests in the marketing campaign will benefit from his love of the sport and willingness to share a positive experience with as many as possible. We fly daily passenger hot air balloon rides in Phoenix/Scottsdale at sunrise year-round, and just before sunset from October through March. This offers a perfect opportunity for small to large businesses to jump-start a local or regional promotional campaign using our current infrastructure of regularly-scheduled flights. Taking corporate identities nationwide, we often hit the road for weeks to months at a time, traversing the country on national balloon and airship marketing campaigns. 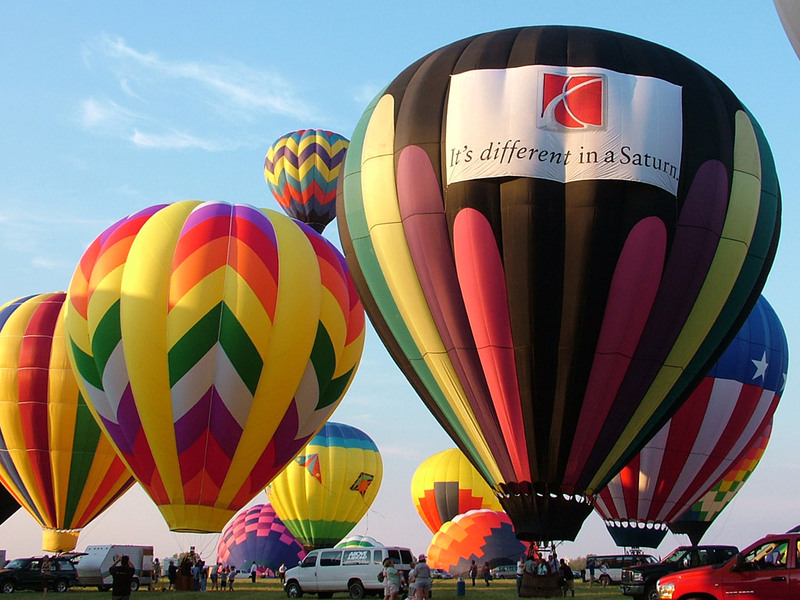 We visit hot air balloon festivals, sports series, company conferences, large cities, convention centers, auto races, outdoor festivals, concerts, and a multitude of other high-visibility events that hold the prime target market for the balloon program. The amount, location and frequency of appearances can be custom-tailored in your own program. 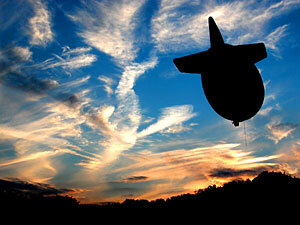 We're capable of managing and coordinating any size local, regional or national corporate balloon or airship program. We also offer the option of balloon pilot and crew training, which allows you to be involved with the campaign as much or as little as you'd like. If you'd rather let us handle everything, we'd be more than happy to do so. Our years of hot air balloon and airship advertising and marketing experience will give a tremendous return on investment for your company. If you think you're ready to experience a guaranteed marketing revolution through hot air balloons and airships, read on below to find out more about the options available to start advertising your company or product right away. Give us a call or send an email for a frank and honest discussion of how we can handle your campaign. Once we determine the most appropriate course of action, our in-house graphics department can then get you an artist's rendition of your balloon or airship nearly right away. Banners are the quickest and most cost-effective type of short-term balloon advertising. 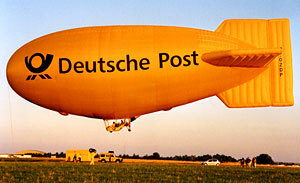 Balloon or airship banners are the most basic and inexpensive of all our advertising options. Banners are a great starting point for a smaller or medium-sized company to test the waters of aerial marketing before making a significant investment on a custom balloon or airship of their own. Our hot air balloons and airships can be adorned with large fabric banners prominently displayed for countless thousands of people to see each time the aircraft flies. These banners fit the shape of the balloon or airship precisely, giving the impression that the artwork is sewn directly into the fabric. Your company name and logo will be skillfully reproduced in exact proportions by our artists. For most designs, we will use paint or sewn fabric to recreate your logo. If photorealistic results are desired, large-format inkjet printing can be harnessed to provide the necessary resolution. These days, there's nothing that can't be done. Once your banners are installed on our balloon or airship, we will fly in the target market of your choice to generate positive exposure. 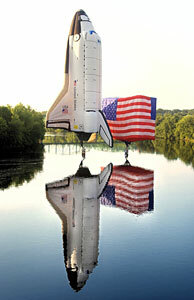 The Space Shuttle Patriot and America One hot air balloons float low in the air across a river. Patriot is the tallest hot air balloon in the world at 178 feet! 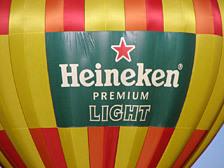 For the ultimate balloon advertising campaign, the use of a specially-shaped hot air balloon is called for. Products, characters, mascots and logos can all be recreated in larger-than-life scale and with highly accurate detail. With the help of computer-assisted design (CAD) and high-powered physics software, it's possible to translate nearly any conceivable shape into a high-flying work of art. Apex Balloons' owner and chief pilot Jon Radowski managed and piloted the nationwide tour of the Space Shuttle Patriot hot air balloon from 2002 through 2006. Patriot is the tallest hot air balloon registered in the US, towering at a height of 178 feet and with a wingspan of 115 feet! The nylon balloon fabric alone weighs 992 pounds - half a ton! A crew of 15-20 is required to set up and pack away this gargantuan balloon. Patriot appeared across the country at many balloon festivals and special events. Special shape balloons such as the Space Shuttle, Energizer Bunny, Polar Bear, American Eagle, Mr. Peanut, Airabelle the Cow, T-Rex and Arky are very complex, larger-than-life pieces of flying artwork that command the attention of everyone below. Children are amazed and adults stand awestruck - nobody doesn't enjoy a special shape! The price tag for such an ambitious airborne ambassador is not necessarily cheap - simpler designs begin around $50,000 and can cost upwards of $250,000 for the most complex shapes. However, the value of the publicity generated over the course of a promotion will far surpass the cost of the balloon and campaign many times over. 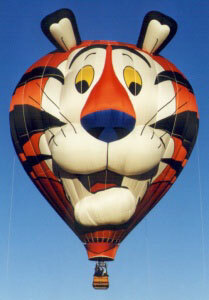 Tony The Tiger is a prime example of a simple appendage shape balloon. 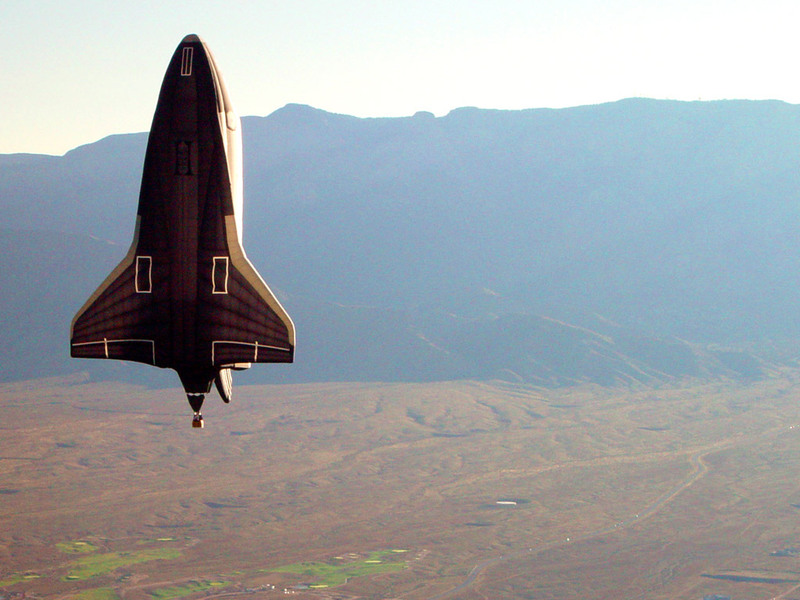 If a full-fledged special shape such as the Space Shuttle isn't quite in your budget, there's another option. A step above a traditional round balloon, appendage shapes can be built for a good deal less than the price of a special shape for much of the same effect. The Tony The Tiger balloon shown at right is a prime example of one of the most successful appendage balloon campaigns ever, flying continually since 1985. Typical appendage shapes like this will cost in the range of $50,000 to 80,000. The experts at Apex Balloons can manage your own special shape hot air balloon program, beginning with initial design concepts and continuing all the way through construction to a nationwide advertising campaign. Contact us for more information. Almost everyone has seen a blimp at one time or another. Hovering over major sporting events, festivals, concerts, auto races, and other such outdoor events, an airship commands the attention of awestruck spectators below. Emblazoned with company colors and lettering, they ply the skies peddling tires, beer, insurance, soft drinks, fashion styles, and other high-profile product lines. It's hard to miss the sight of a gigantic blimp lumbering overhead. Although extremely popular in European countries, the massive impact of thermal airship advertising has not yet been realized in the USA. Unfortunately, these helium-filled giants of the sky are extremely expensive. Costing upwards of 2 to 8 million dollars to construct, a blimp purchase is not exactly within the realms of most companies' advertising budgets. On top of that, a helium blimp requires a large ground crew and support vehicle fleet for handling, maintenance and upkeep. Each initial helium fill-up costs around $50,000 - not to mention periodic refills and purification as the precious gas constantly seeps out through the skin. A typical seasonal lease costs about $300,000 to $500,000 per month. On the other end of the blimp spectrum, Hot Air Airships offer most of the benefits, but with the price tag and operating expenses of less than 10% of their helium cousins. Without the need for expensive helium, hot air airships operate on standard liquefied propane gas to create the heat necessary for buoyancy, and automotive gas for the forward propulsion engine. The principle is roughly similar to that of a hot air balloon, but with a tremendous advantage: A hot air airship can be steered as well as flown against the wind. It can maneuver over the same areas many times on a single flight, rather than drifting downwind and out of sight with only one chance to make the necessary impact. Night operations are possible with FAA approved lighting. The airship envelope can be internally illuminated for maximum visibility. Helium blimps must traverse the country slowly by air with a huge support fleet following beneath, also requiring them to follow the good weather. Helium blimps don't normally fly in the Northern half of the USA in the winter months, as operations become difficult as it gets colder outside. That's why you won't see a blimp at the frigid NFL playoffs in Pittsburgh, but you will at the Super Bowl in sunny Florida or Arizona! Hot air airships can fly year-round, and they actually enjoy benefits to flying in cooler weather. A higher payload can be carried, which means either more passengers or more fuel load for farther and longer flights. Top airspeed is about 20-25 miles per hour, and the upper wind limit that flights can be successfully undertaken is approximately 15 mph. Best times to fly are morning and late afternoon, which happily coincide with drive time and rush hour traffic for lots of ground-based viewers. The airship gondola can carry pilot plus up to three passengers for VIP flights, or a solo pilot with extra fuel for longer advertising exposure flights. Helium airships require a detail of 12-30 full-time crew members to travel with the blimp. Hot air airships only require a minimum crew of two to three plus pilot. Hot air airships are packed up after every flight and transported in a trailer to the next flight location. This removes the obvious logistical nightmare of flying across country and requiring that massive support fleet! A hot air airship can be packed up and driven cross-country to another destination market in a matter of hours or days, rather than weeks. 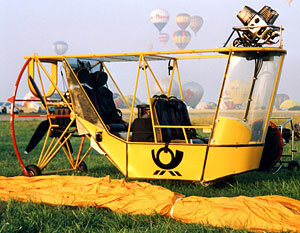 Today's state-of-the-art four-seater GEFA-Flug AS105GD hot air airship will cost around $300,000 to purchase. That's equivalent to one month's rent for the most basic helium blimp lease. Beyond the initial equipment investment, it may cost anywhere from $100,000 to upwards of $500,000 per year to conduct a full-time nationwide marketing campaign, depending on the area of desired coverage and number of travel and appearance days. Apex Balloons currently operates a small one-person hot air airship which can be available immediately for short or long-term local or regional contracts. The performance increase afforded by GEFA-Flug's current state-of-the-art makes a new four-seater airship an option to strongly consider for more extensive campaigns. Contact us if you'd like to discuss any of our hot air balloon or airship advertising options.